I am honored when patients place their oral health in my hands. I take this responsibility very seriously and treat each patient with the honesty and respect I would want for myself or a member of my family. Dentistry is a science and an art. It’s truly exciting to bring these together to give my patients the healthy, beautiful smiles they love. 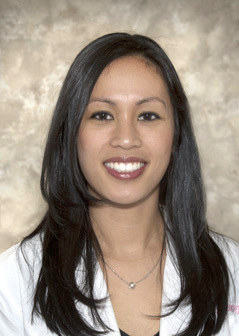 As a dentist, I use my skills, knowledge, and compassion to provide the highest quality care to each patient. It’s immensely rewarding to change a person’s smile, oral health, and their life. We have the best patients. I enjoy getting to know each on a personal level and building a lasting relationship with them. The more we talk, the better I understand who they are and their unique care needs and goals. This allows me to find the best treatment approach to their individual needs. Each year I complete many hours of continuing dental education. This gives me the knowledge and skills needed to provide my patients the best care. To do anything less is unacceptable. Dentistry is an evolving changing profession. With new technologies, techniques, and materials constantly being developed, it’s my responsibility to remain current. I attend lectures, seminars, and conferences to learn from the leaders in the field. 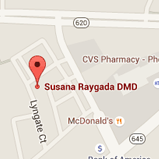 I am an active member of the American Dental Association and Academy of General Dentistry. These memberships give me access to the latest research, discussions of treatments, and different approaches to care. I volunteer with the Northern Virginia Dental Clinic. I believe everyone deserves access to dental healthcare, no matter their personal situation. It is my responsibility, as a dentist, to share my skills in order to achieve this.